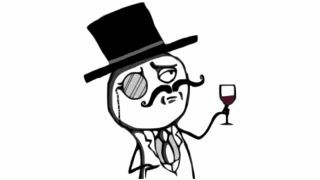 Ryan Cleary, the British man suspected of being a member of Lulzsec and taking part in a number of high profile hacks, has been charged in the US. The Californian court alleges that Cleary built and controlled a botnet used to carry out DDoS attacks against various companies including Sony, Fox and PBS during Lulzsec's heyday. He also stands accused of deliberately infiltrating said systems and stealing confidential information relating to users before going on to publish the information online. If found guilty on all counts, the US charges could see Cleary incarcerated for up to 25 years. Cleary is also in trouble on his home turf. In the UK he's been charged with carrying out a DDoS attack against the Serious Organised Crime Agency (SOCA) in June 2011. He was bailed on the condition that he be banned from the internet but ended up in jail after that proved impossible for the web-loving rapscallion who also contacted FBI LulzSec mole Sabu while on bail (the ever-classy Sabu turned him in). The federal authorities haven't decided whether or not to extradite Cleary to the US yet; he's next due in court in the UK on June 25.